Several children suffered broken bones and other serious but non-life threatening injuries in Jackson County, Florida near Tallahassee last Friday when a tractor trailer was rear ended from behind by a tractor trailer, which then rear ended a school bus. The school bus then slammed into the rear of another school bus, injuring students on both buses. Three children were taken by helicopter to a local hospital, which 20-30 other students were transported to another hospital by bus. A witness to the accident, a 17 year-old boy, likely saved the life of a child; he was standing at the bus stop when he saw that the tractor trailer would not be able to stop. He grabbed a young boy who was getting on the bus and pulled him out of danger. The rear end wreck happened seconds later. Charges may be pending against the truck driver. Our Virginia truck wreck lawyers hope that all of the student recover quickly from their serious truck crash injuries. A commercial truck driver has an obligation to driver safety at all times, especially near a school bus. According to the Commercial Driver’s Manual in our state, it is very important for truck drivers to monitor their speed carefully. 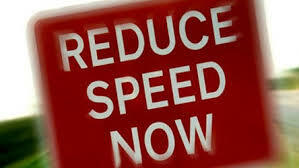 When a truck driver doubles his speed, it takes 4 times the distance to stop. Also, the truck will have four times the destructive power in a crash. Also, the manual notes that an empty trailer actually increases stopping distance because it has less traction than a fully loaded trailer. Trucks that rear end other vehicles can cause devastating injuries, such as this rear end truck wreck whose victims we represented, leading to a $5.5 million settlement.